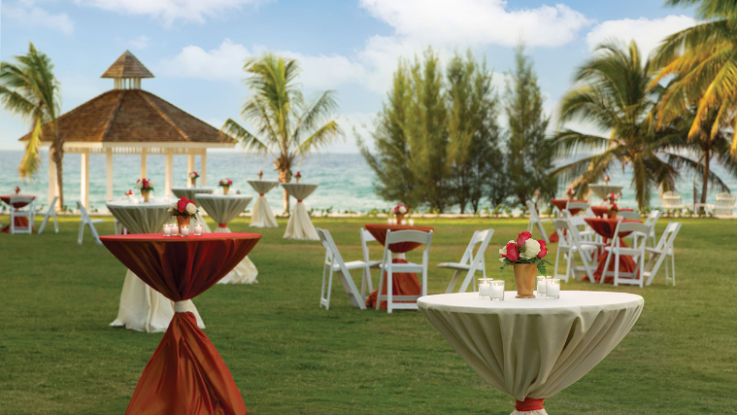 Just on the outskirts of Montego Bay, Jamaica, this exquisite resort is the perfect place for a beautiful destination wedding. The Hyatt Ziva Rose Hall has many different activities to make your stay as relaxing or exciting as you please. 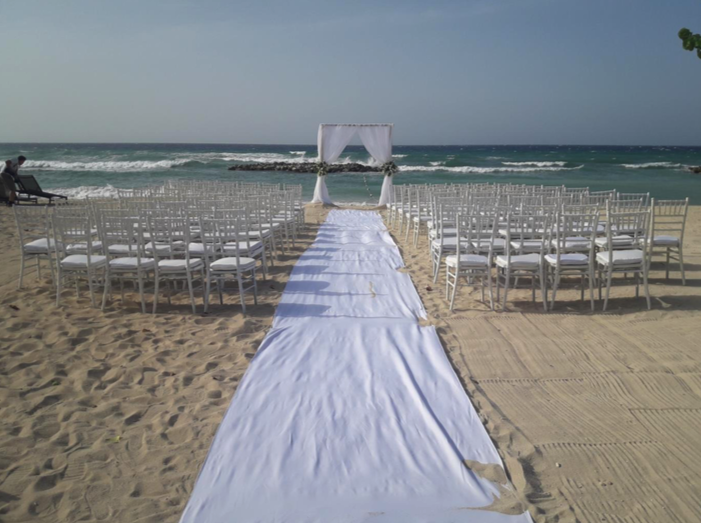 Surrounded by beautiful beaches and pools, with amazing food options, the possibilities for an incredible ceremony and a lifetime of memories are endless. You can rest assured, with the Hyatt name, that you and your wedding guests will receive impeccable service for the duration of their stay. 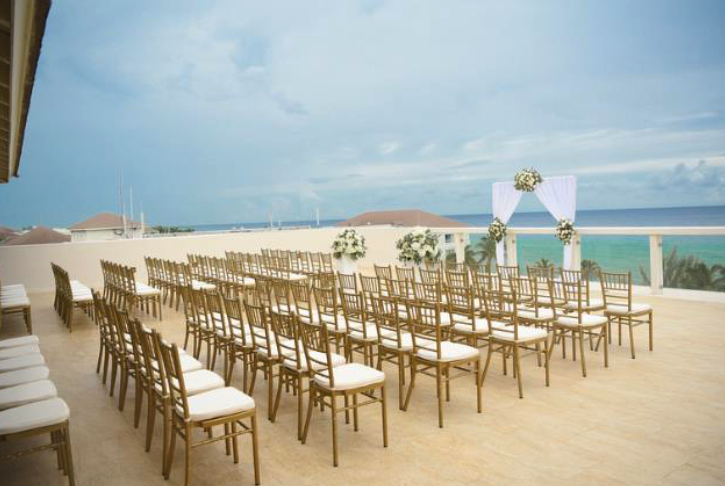 A Hyatt Ziva Rose Hall wedding is perfect for a ceremony of any kind. 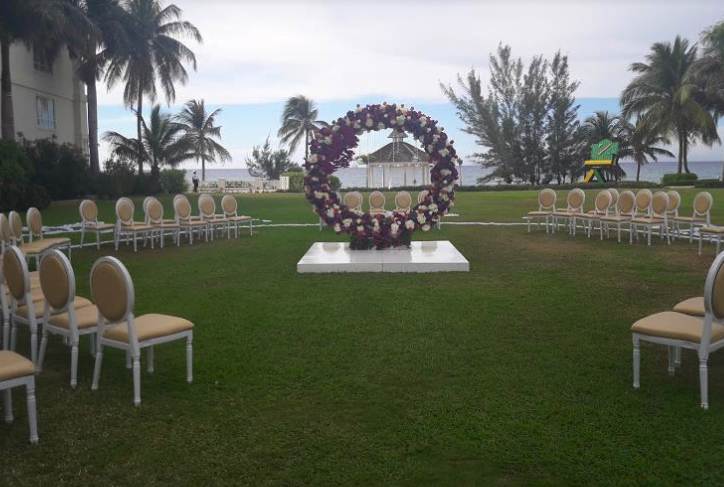 Those who want an outdoor barefoot ceremony can take the beach, while others wanting something a bit more intimate can choose from the Grand Ballroom or Terrace. Your wedding guests can enjoy some fantastic jerk chicken or sausage on the beach from the Barefoot JerkZ shack that is open everyday, or take advantage of the food carts where they will make a fresh meal directly in front of you! If you plan on having your wedding at one of the outside venues, it is important to note that all outdoor events must end by 10pm. The base package is $1125 and includes up to 10 guests but is complimentary if your party books 15 room nights in an Ocean View Junior Suite or higher category. Upgraded packages, additional guests, and add-ons are available for an additional cost. Fireworks are available with any package if requested at least 8 months in advance. Rooms range from $180 – $300 per person per night. All rooms include a mini-bar and provide complimentary wifi. The Club Level rooms and suites include personal concierge service, spa discounts, and access to the private Club Lounge. Children 2 and younger stay free. 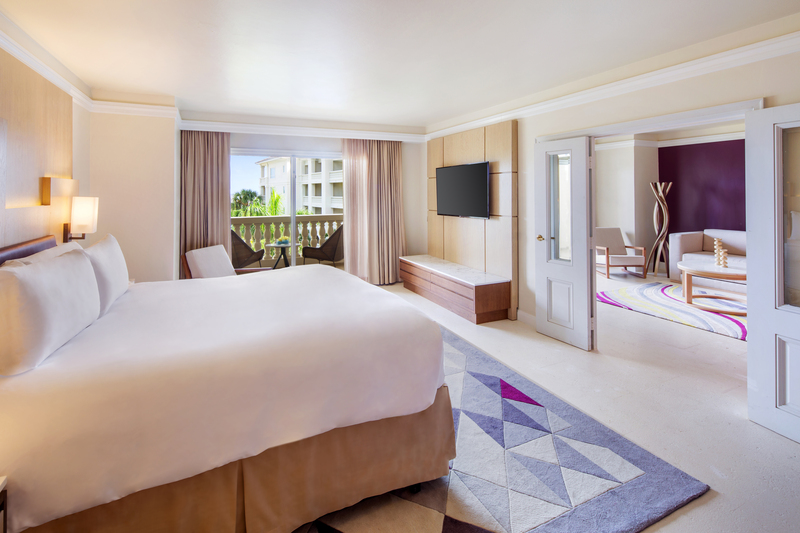 There are 387 total guest rooms offering views of the resort, ocean, or garden. For guests looking for ultimate relaxation, the Butler Suites include a personalized butler and concierge services upon request, along with the the swim-up suites that offer a semi-private pool and lounge. The hotel has rooms that will allow up to 4 adults and 2 children. 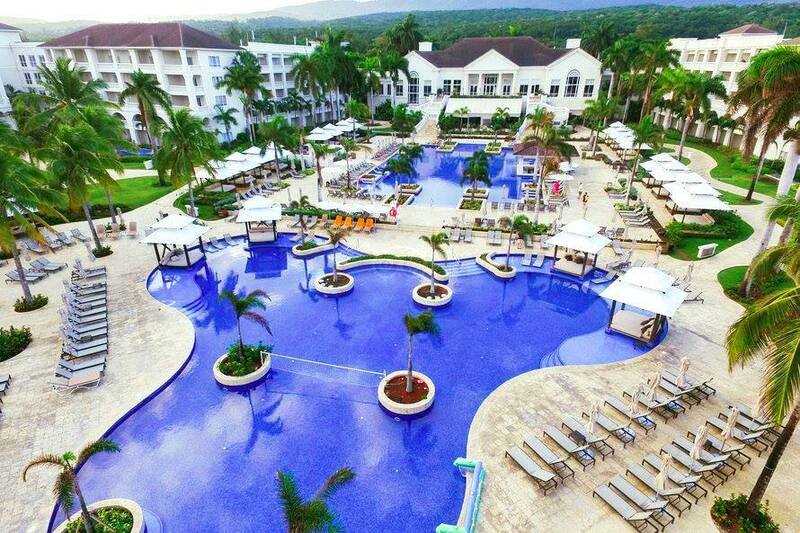 Children are ages 13 and younger, and guests staying in the swim-up suites must be 13 or older. 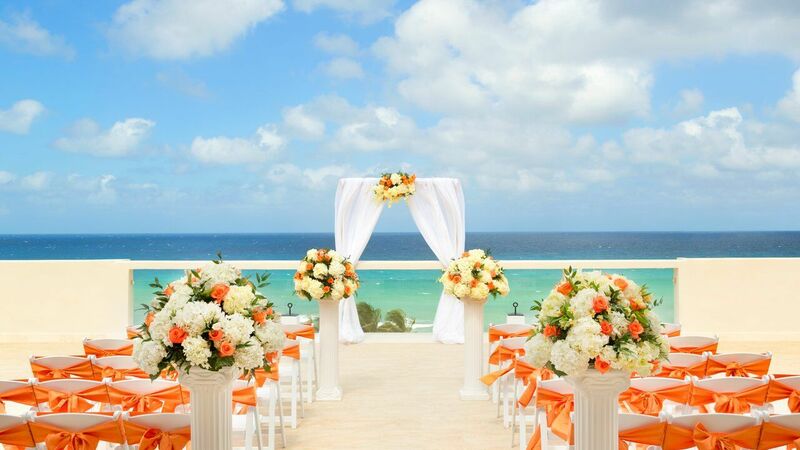 The resort hosts no more than 3 weddings per day at 10am, 1pm, and 4pm. These times are available Monday thru Sunday. December, January, April, May, June, July. It’s always encouraged to have your guests book their stay 6 – 12 months in advance. The resort can sellout during peak seasons. The wedding coordinators typically take 48 hours to respond. During peak seasons, you may have slightly longer response times. This property is located 7 miles from the MBJ airport with round-trip transportation included. A complimentary shuttle to the Shoppes at Rose Hall is available Monday – Saturday 10am-5pm. 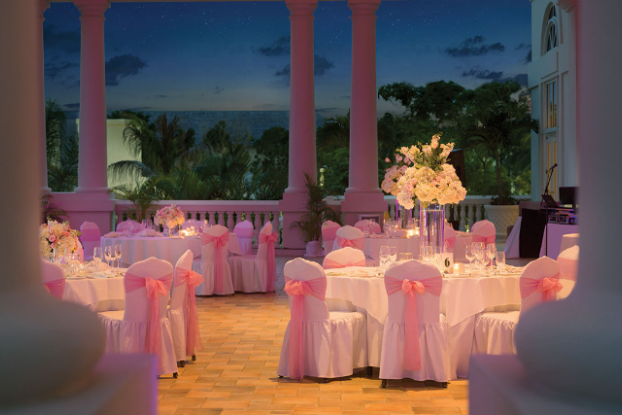 Q: What makes Hyatt Ziva Rose Hall a great place for a destination wedding? A: The Warmth and Professionalism of our service providers, the beautiful wedding venues and the exemplary services our coordinators provide! A: The Ceremony! Watching the reaction of the groom and guests while the bride walks down the aisle. Knowing at this moment that all planning have led to the very moment!